Remember the good old days when Murphy Brown was on TV? Candice Bergen’s wit and perfect delivery was such a treat to watch, before reality TV took over. Luckily for us, she’s having fun doing something new and her wit is still as sharp as ever. Just take her tagline for her project BergenBags: “From One Old Bag to Another”. Let me explain. You can see that these bags are some pretty posh canvases: Louis Vuitton, Saint Laurent, Prada, Goyard… and Candice Bergen is a megawatt star after all, so the cost for a custom paint job is $1000 a pop but she donates it all to charity. Today she’s painting bags onsite by appointment at Laura Vinroot Poole’s gorgeous Capitol boutique in Charlotte, North Carolina. I thought about making the 2-hour trip just for entertainment’s sake, what a hoot! It’s nice to know that stars we’ve adored are real people, out there doing neat things and having fun. Candice Bergen, don’t worry…there’s nothing “old bag” about you! You can visit the BergenBags website here. Also follow BergenBags on Instagram here, her photo captions are really very funny and very Candice Bergen. Erica Preo is CEO & Creative Director of Pantofola, pure luxury Italian goods for dogs. 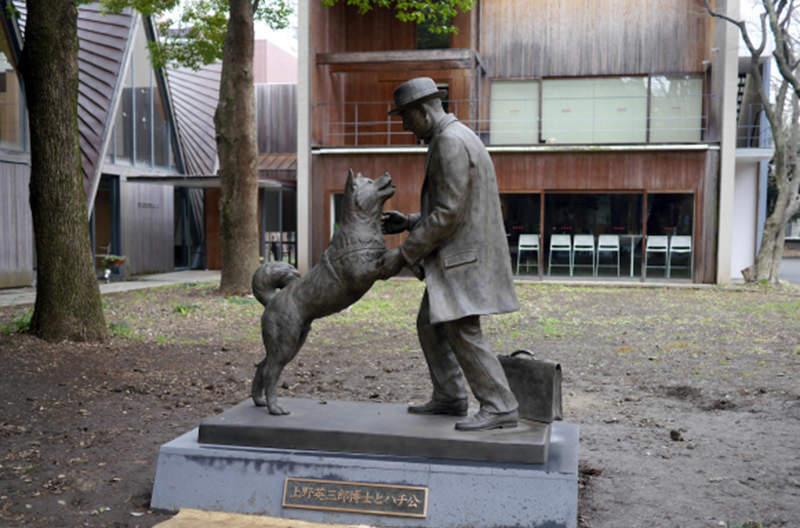 There’s a brand new statue of Hachikō, but this one is even better because in it he is reunited once again with his master Professor Ueno. It captures such a happy moment, the one that was repeated each day at the train platform when the professor returned from his day at the university…until the very sad day when he suddenly passed away. That day marked the beginning of nine years that Hachikō continued to wait without fail. I think this new statue is super, because this is what we all wanted to see…the two together. Even as an artist’s interpretation, it’s exactly as it should be: bright smiles, kind eyes upon each other, a briefcase set down while Professor Ueno’s complete attention is given to faithful Hachikō before beginning the walk home from the station. 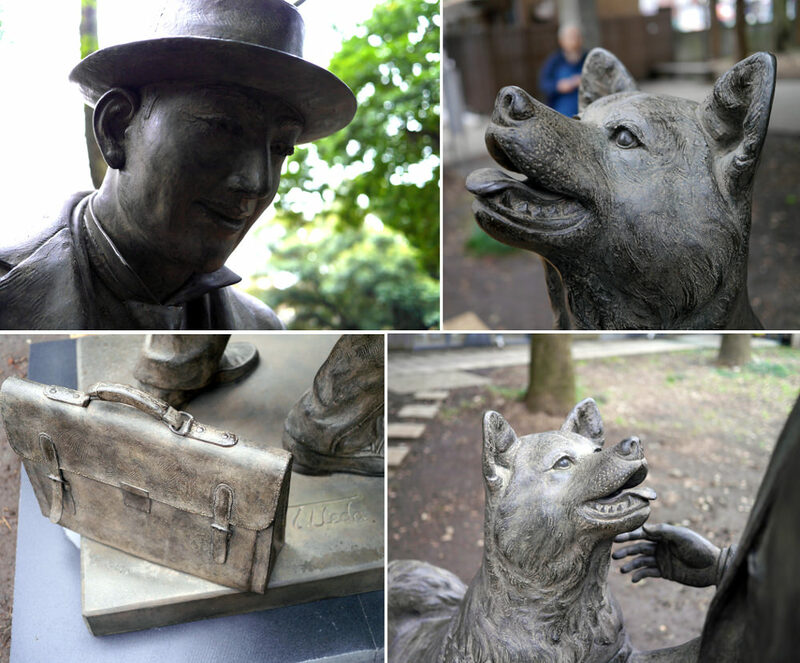 Captured in bronze, it crystallizes the moment and triumphs the sad solo Hachikō. 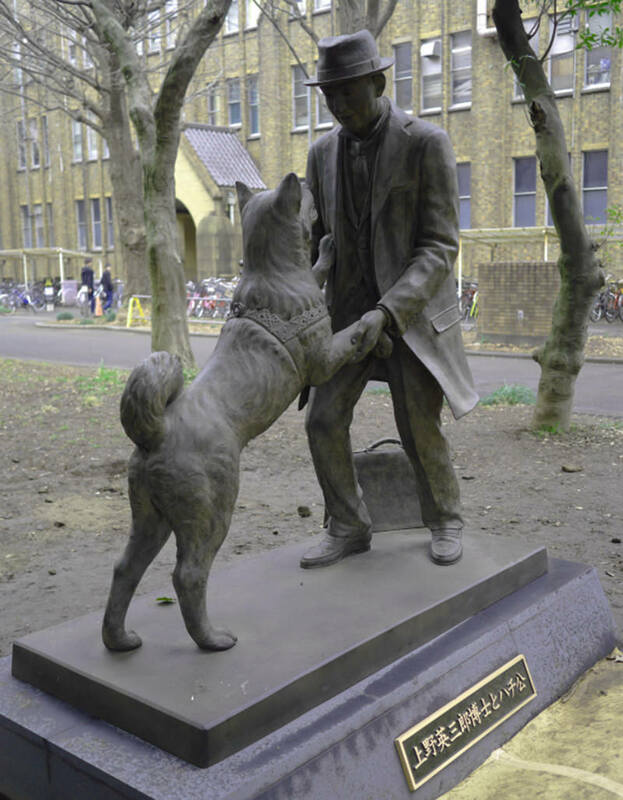 If you’d like to visit the new Hachikō statue, you can find it at The University of Tokyo campus for the Graduate School of Agricultural and Life Sciences/Faculty of Agriculture, website here. Photos courtesy and original story from Rocket News 24 can be found here. If I meet someone that doesn’t already have a dog, of course I immediately tell them to get one. Run, don’t walk! Now I understand that some people can’t have one for a few good reasons: they travel too much, their lease doesn’t allow it, stuff like that. But if I get a whiff that someone is on the fence about it, I try to point out how adopting a dog can make their life so much better. Because I know the day will come when that person won’t be able to imagine a life without their dog. So take a look and add it to your own arsenal of reasoning for the next time you encounter someone that’s on the fence about getting a dog. Direct them to the nearest shelter. They’ll never want to look back. Photo courtesy and copyright Wes Siler. My hands-down favorite magazine is Monocle. It’s the one publication that keeps me hanging around the post office each month, waiting for its delivery. And if I’m not reading it, I’m listening to their Monocle 24 streaming radio content while I’m working. There are several reasons why I like it so much: international coverage of news, culture, business, design, travel, cuisine. But I think the biggest reason I love it is for their commitment to coverage of entrepreneurs—like me! They’re always spotlighting someone somewhere that’s committed to their pursuit of quality, craftsmanship and their dream. Now there’s a new reason for me to love Monocle: a story about dogs in their upcoming issue. 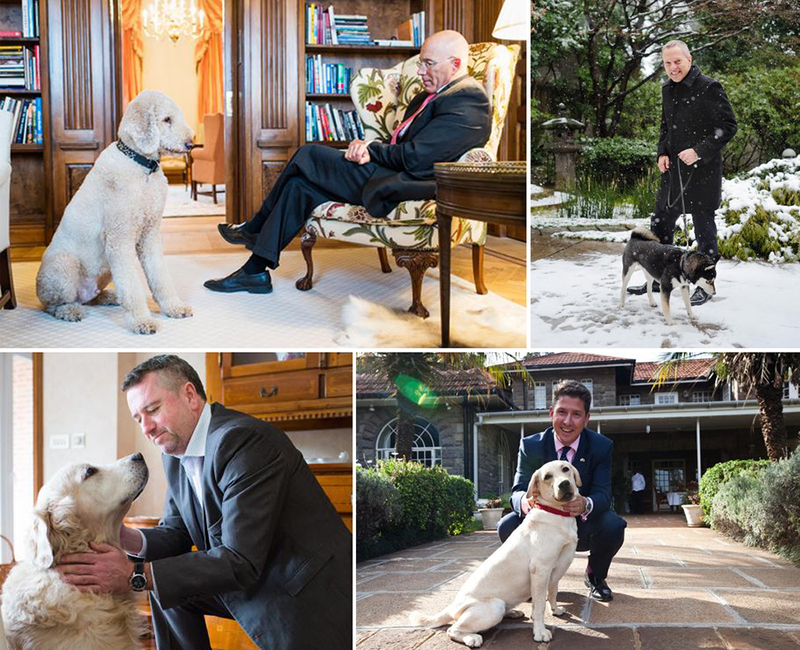 This story features four ambassadors and their dogs, and the “soft power” created by these important members of their respective diplomatic missions. Featured in the story are, clockwise from the top left: Deckard the Standard Poodle with US Ambassador to Finland Bruce Oreck; Herman the Shiba Inu with Danish Ambassador to Japan A. Carsten Damsgaard; Tchui the Labrador with UK High Commissioner to Kenya Christian Turner; and Füles the Golden Retriever with Péter Györkös, Hungary’s ambassador to the European Union. It’s a great story with an inside look at what goes on in the world of international relations, and points out that sometimes the best path to goodwill between nations is created by the presence of a dog. Sweet. You can find the full Monocle story here. Photos copyright and courtesy of Monocle Magazine. It’s holiday gift-giving time, so I thought I would offer a few ideas for the doggy folks on your list in case you’re stuck. But first, I want to make sure it’s understood that these are my genuine recommendations and not sponsored by anyone. This is more like if you asked me what gift would make a dog person happy, these are some things I would tell you about. And three of them don’t require any gift wrapping! Okay. The first one is that odd blue thing above. 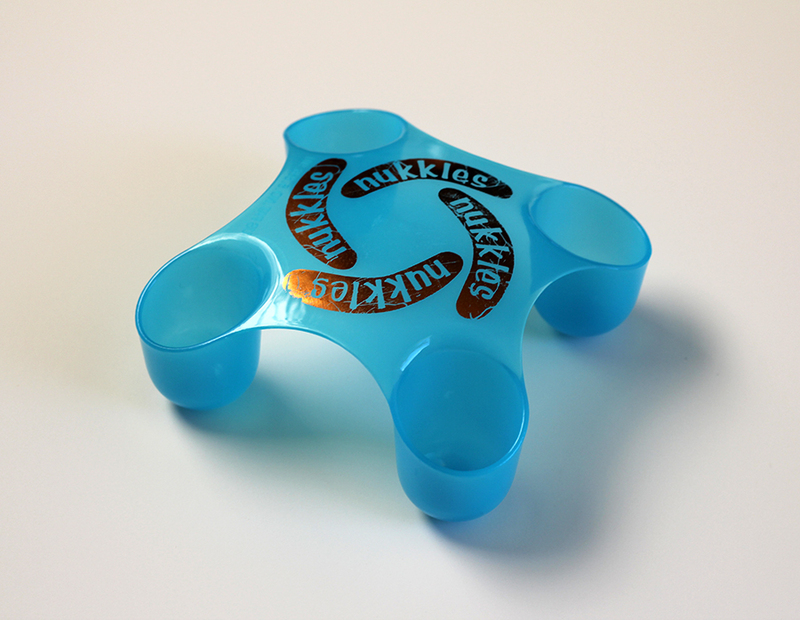 It’s a massage tool called Nukkles that I randomly picked up years ago at a Walgreen’s drug store. It was one of those occasions when you spend just a little too much time in a drug store and begin looking at things you normally would never notice. Well, it turns out that dogs love this thing…and I mean L-O-V-E love it. Despite all of the cute toys, treats and outfits that are out there for your dog, it turns out what they really want is your attention and a good rub. Just put this thing into the palm of your hand and apply gentle pressure, moving slowly around muscles and soft tissue. Your dog will slip into an immediate trance, especially if your pup is older with some aches and pains. You can position it so that the downward cones straddle his spine, that really works wonders. It’s hard but flexible plastic, so it glides easily along fur. There are lots of great specialists offering therapies for dogs these days, but if you’d like something non-medicating that’s always available to you without an appointment and a car trip, this really does the trick. I think I paid about $5 so it’s not an expensive gift, but I promise to a dog it’s priceless. These Nukkles folks do have a website here, and I did see they offer a doggy version but I don’t think it’s different than the people version I bought. They are available in two-packs on Amazon also. My next recommendation is a subscription to the magazine that I believe does the best job in the dog category: The Bark. I’ve mentioned this publication a few times before, and I really do love it. 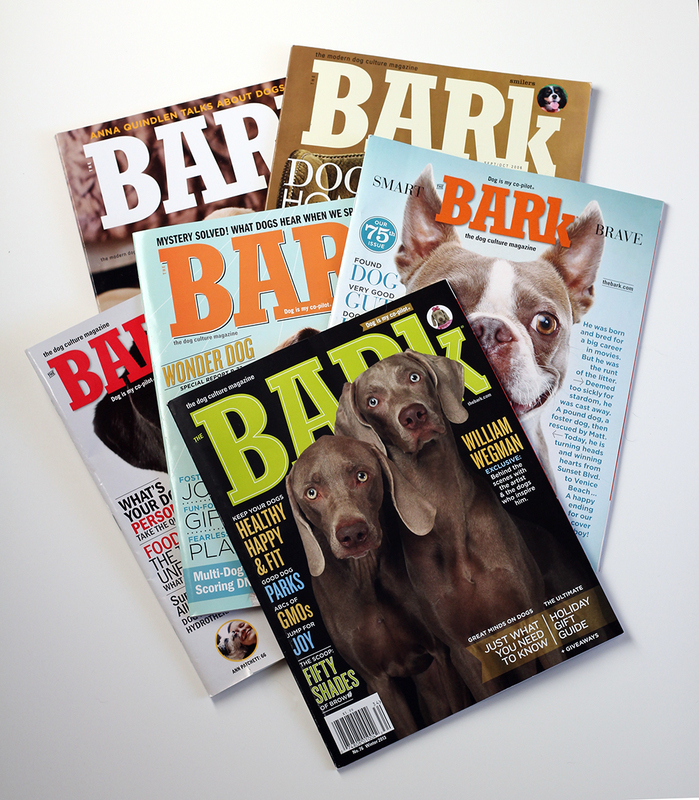 Self-described as “the dog culture magazine”, The Bark is full of all aspects of dog: literature, art, photography, poetry, health info, legal initiatives, rescue news, nutrition info, new products, book and film reviews. And it’s quarterly so there’s plenty of time to get through an issue before the next one shows up. I’ve been a reader since it was given out free in a newspaper format in San Francisco area veterinarians’ offices, and it’s always stayed true to its mission. Recently I saw they have a gift offer of $10 per subscription, here’s the link. What to Look for in Wet Food. No-Pull Harnesses Reviewed. Diets for Dogs with Diabetes. Fat, Lazy, and/or Grumpy? Training Tiny Dogs. Choosing an Animal Charity. 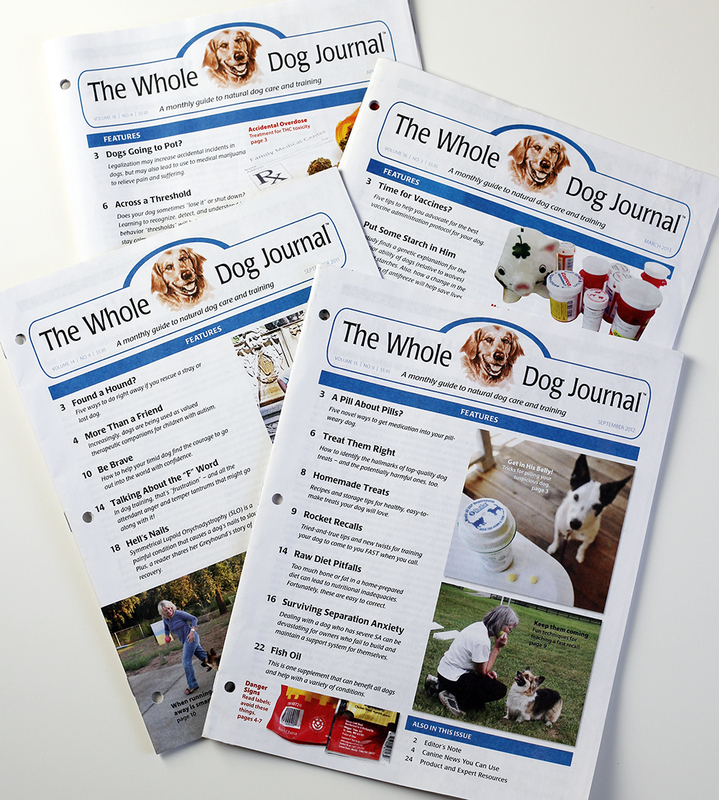 These are just a few of the article titles from past issues of the stellar publication Whole Dog Journal. This monthly publication is probably the best thing you could ever give to a dog owner, because it offers the broad spectrum of knowledge they need all the time. It covers health issues, medicine (traditional, herbal, holistic, etc. ), behavior and training, nutrition (homemade diets, raw feeding, commercial foods both wet and dry), it’s endless. If you’ve ever needed more information about anything, and I mean anything, this is the place to turn. If a veterinarian tells you that your dog has a certain condition or illness and says the only route is to prescribe medication XYZ…guess what? Most likely there are some other options available to you, and Whole Dog Journal will tell you what they are. There are NO advertisements, no tricks, they don’t try to sell you some snake oil concoction, it’s simply an honest resource you can trust. Subscriptions are only $20 and in addition to the monthly issues, subscribers have access to their online archives to search by topic. A link to their website is here. Last but not least, it’s always a wonderful gift to donate to a charity or rescue organization, and nothing would make a dog owner happier than to know their holiday gift was to help a homeless dog. And that’s a gift for you as well. I hope these ideas were helpful to you, and that perhaps you can cross a few things off your list, get yourself something to drink that’s either hot or effervescent, and enjoy the holiday season! Governments get in the way. Rhetoric makes us bypass people we might otherwise admire. That’s a lousy thing because if we can push that aside and look closer, we’d be very surprised at what we’d find. Which leads me to the question: can dogs serve as ambassadors of goodwill between nations? Yes, I think they definitely can. On my trip to New York last June, I met a very talented artist from Iran named Mahmoud Hamadani. For a brief moment I’m going to bring one of his pieces into this post, for a few reasons. First, he’s the one who told me about the Vafa Animal Shelter (because the topic of dogs seems to always come up with me) so it sets the context. Second, because abstract art is open to interpretation I’m going to use this piece as a visual for the point I’m trying to make about cultures. And third, because I love it so much. This piece is from Mr. Hamadani’s Endless Roads series which is based on a stanza from a poem called The Untimely Traveler by Azadeh Farahmand. It’s Untitled XV, ink on paper, and it’s a lovely 60″ x 44″. 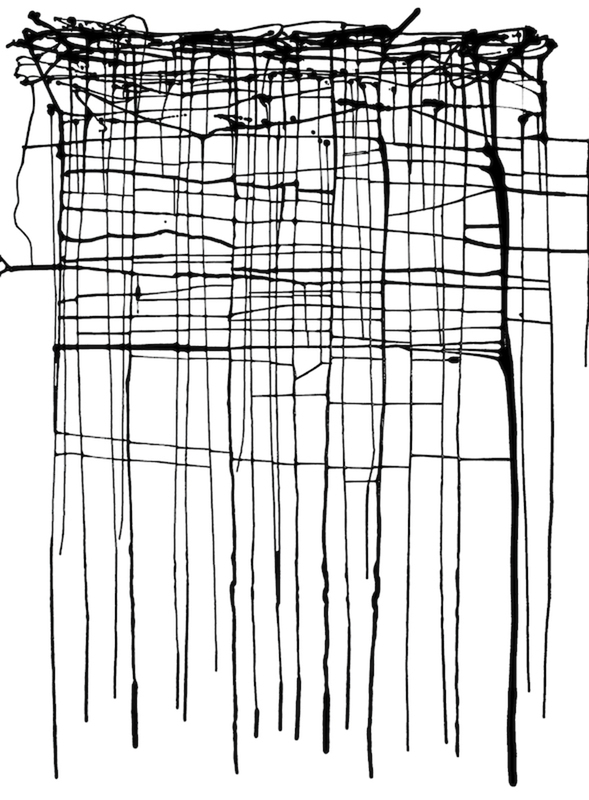 When I look at this piece in the context of different cultures, I imagine the vertical and horizontal lines represent “us” and “them”, which is easy enough because it illustrates a difference and distance between people and nations. But everywhere that these lines intersect, that’s a commonality: food, water, shelter, love, pursuit of happiness, security, the list goes on. And apparently that list includes dogs. 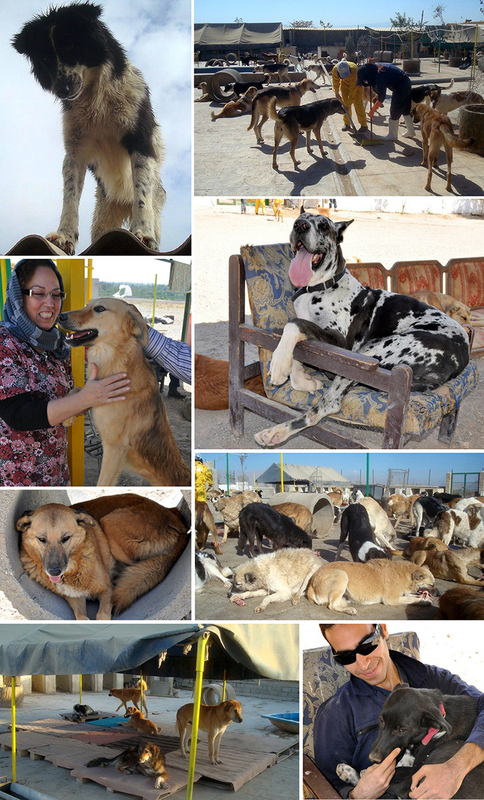 It’s never good to make generalizations, but I’ve always thought middle eastern cultures didn’t care much for dogs. But, judging by the photos below, this is clearly not the rule. 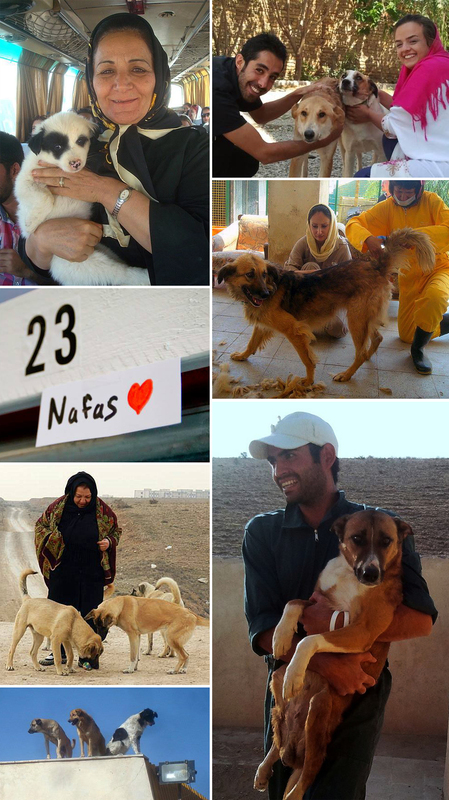 Welcome to the Vafa Animal Shelter, just outside of Tehran in an area called Hashtgerd. 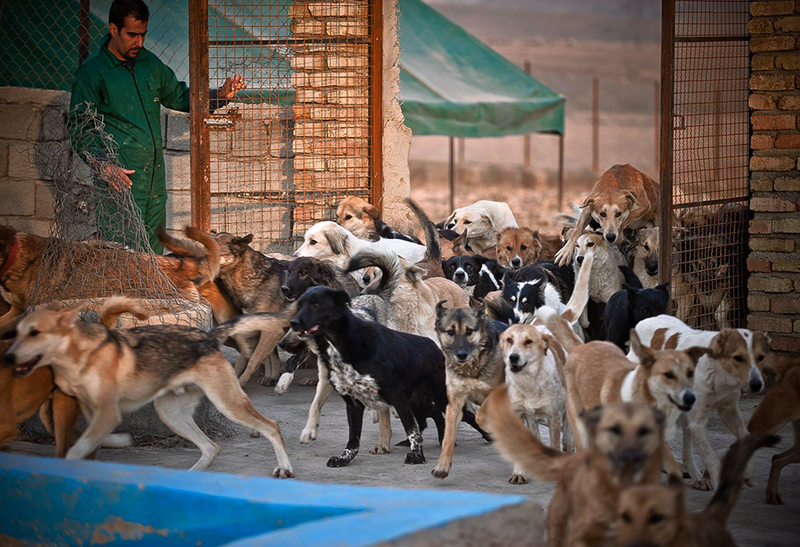 Founded by Mrs. Fatemeh Motamedi when her husband donated the land, the shelter was built to provide a place for all of the stray dogs to live. And not only live, they seem to thrive here! These have to be the happiest shelter photos I’ve ever seen! I realize that it must be a huge struggle to maintain this facility with a lot of heartache on a daily basis but the dogs, staff, and visitors seem to be genuinely happy in every picture I find. There’s a true sense of love for these dogs that is captured no matter what’s going on: spa day, getting the place ready for the cold winter months, doing vaccinations, and odd repairs. One huge difference with this shelter I noticed is that these dogs are able to move about freely, rather than being confined to cages. Since they are social animals these dogs seem much more at ease with this arrangement, making this place feel more like a dog village. They appear to interact so well with the staff, it’s as though they are helping with those repairs. 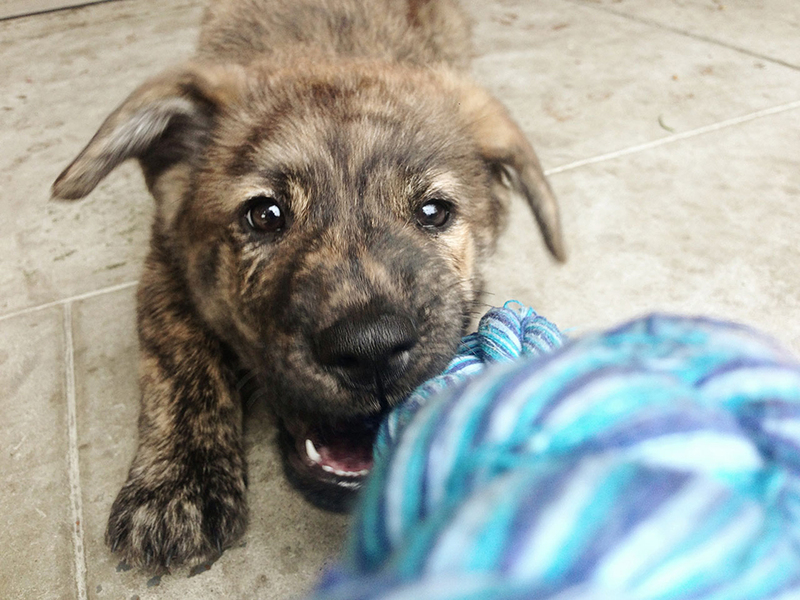 I would assume that if you were to adopt a dog from the Vafa Animal Shelter (and people do!) you’d pretty much be guaranteed a fine dog that could get along well with other dogs. Even on days when a local restaurant delivers fresh raw bones, these guys just find their own spot and munch away. Amazing. The word “vafa” means “loyal” and judging by these photos and the dedication of Mrs. Motamedi and her staff, I’d say that loyalty goes both ways. I’m giving these folks at Vafa Animal Shelter my highest respect and admiration, and I wish I could meet them someday for coffee and a nice how-do-you-do in the international language of Dog. No matter what our governments have to say. 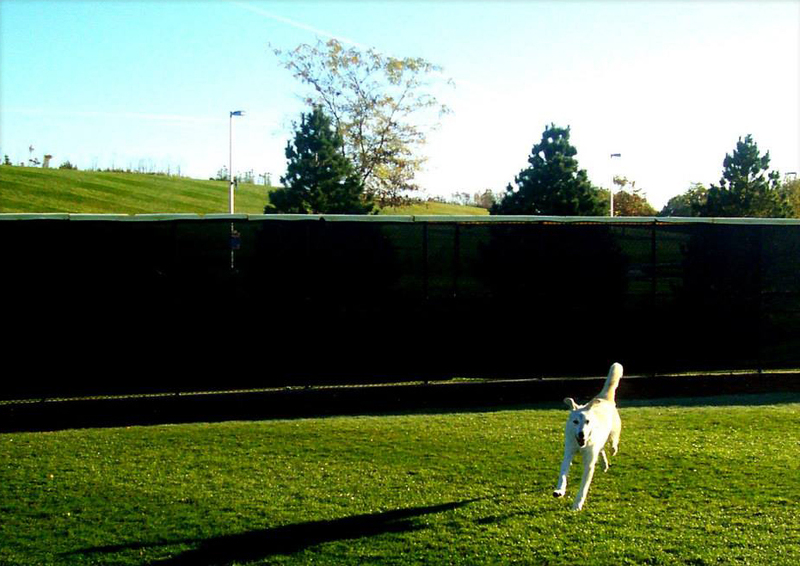 The photo above is one lucky pup from Vafa, now living half a world away in Chicago. If you’d like to learn more or donate to the Vafa Animal Shelter, you can find all of the information in the About section of their Facebook page, which is here. If you are interested in adopting a Vafa shelter dog, please contact Farah Ravon (based in California): by email kfravon@yahoo.com, or by phone +1 (408) 431-6954 (mobile/cell). For information on the artist Mahmoud Hamadani, you can visit his website here. All shelter photos from the Vafa Animal Shelter Facebook page. Mahmoud Hamadani painting, copyright and courtesy of the artist. World, meet Stella. Lei è una stella, she’s a star. And if you read my last post, she might seem a little bit familiar to you. They called her Fern, this little one. They couldn’t understand how she’d been overlooked, why no one came to rescue her. But there are too many, they keep coming, the clock keeps ticking. 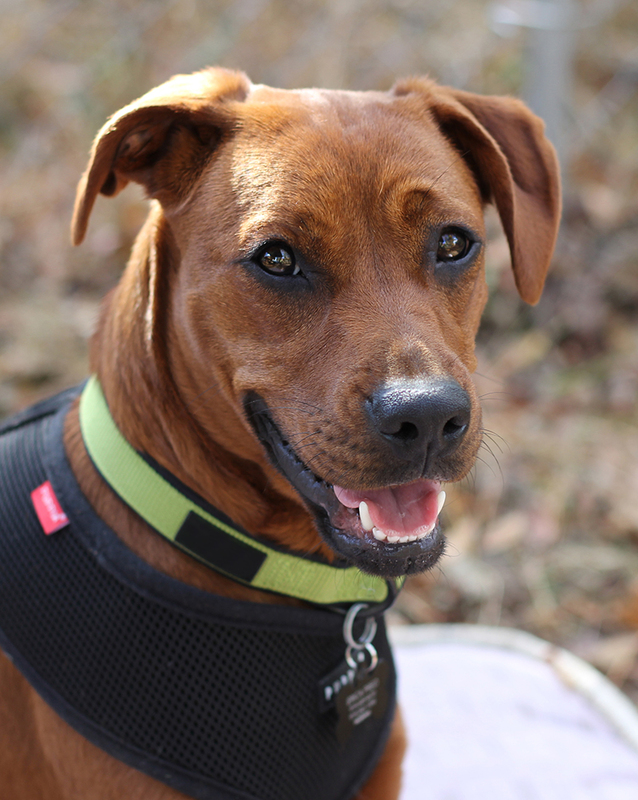 Her time was running out and before I knew it, I’d dialed the shelter to say she will have a home. Our home. It’s nerve-wracking when deciding to adopt a new dog. Especially when you haven’t even met the dog in person, you’re flying completely by instinct. But one thing I did know: I wouldn’t let her die, no way would that happen. Yes, the risk would be taken. She hadn’t been given the chance to live yet, and that’s just not acceptable. Not enough days in the sunshine, maybe none snoozing in front of a toasty fire, and I’m pretty sure no time at all spent frolicking on any beaches. And what about nicknames—which all dogs must acquire, in addition to the requisite sing-songs and ditties that are made up one day at a time. Those things hadn’t happened yet for her. So, no. No dying, only living. 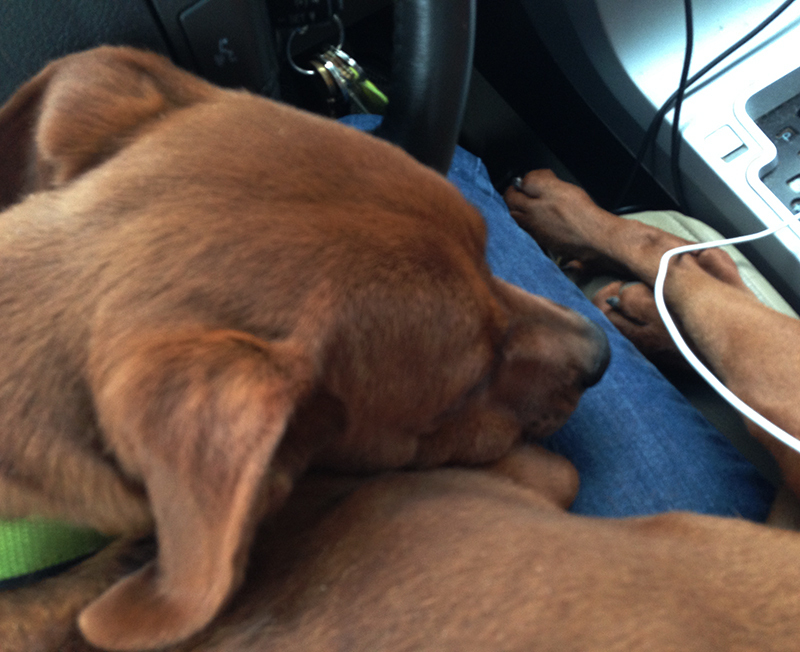 On the long drive home, she insisted on snoozing on my lap and I could tell she was really thankful. But I was also thankful that I’d been given the chance to save her. And thankful to this shelter, and all of the shelters, and all of the foster homes that provide safe haven for these guys that society has neglected and discarded. These people do an incredible job, the elaborate networks they’ve built on Facebook and everywhere else, giving their time and resources and love. It’s 24 hours a day, and it never slows down. This Thanksgiving I’m thinking of these people and hope they know how much their difficult and often heartbreaking work makes the world a better place. One adoption at a time. 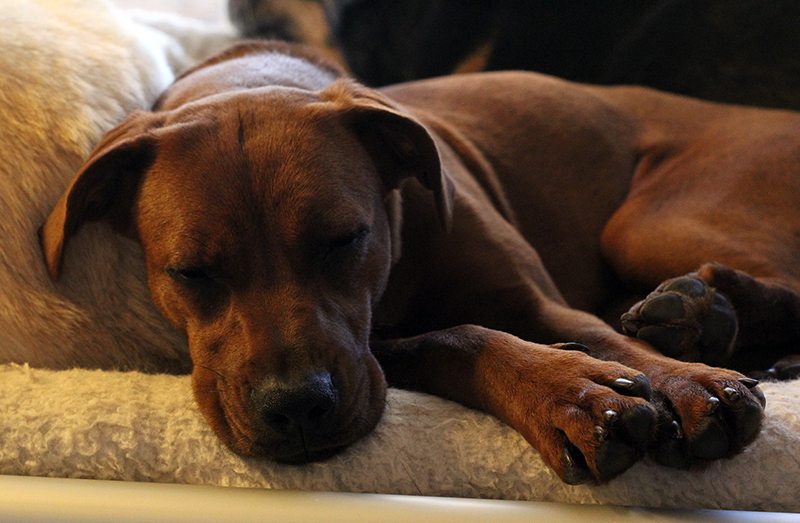 Stella says she agrees, but for now she’s getting some rest with her new dog family. After all, she knows she’s got a lot of nicknames to learn and some serious catching up to do. Happy Thanksgiving everyone! And here is a super list of 10 dog-related things to be thankful for by The Bark Magazine. Enjoy, and no calories!